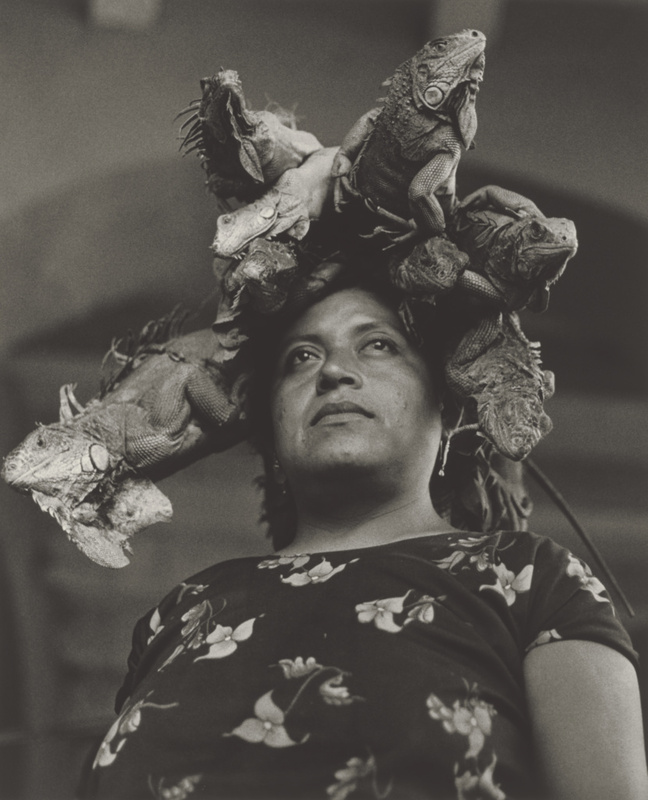 Woman with several iguanas on her head. Created by the artist, Graciela Iturbide, Mexican, born 1942 (Mexico), sold through ROSEGALLERY (Santa Monica, California) to Daniel Greenberg and Susan Steinhauser, 1996. Daniel Greenberg (Los Angeles, California) and Susan Steinhauser (Los Angeles, California), donated to the J. Paul Getty Museum, 2007. Graciela Iturbide: La Forma y la Memoria, exh. cat. (Monterrey: Museo de Arte Contemporáneo de Monterrey, 1996), p. 21, ill.
Graciela Iturbide: Juchitán, exh. cat. (Los Angeles: J. Paul Getty Museum, 2007), pl. 32.